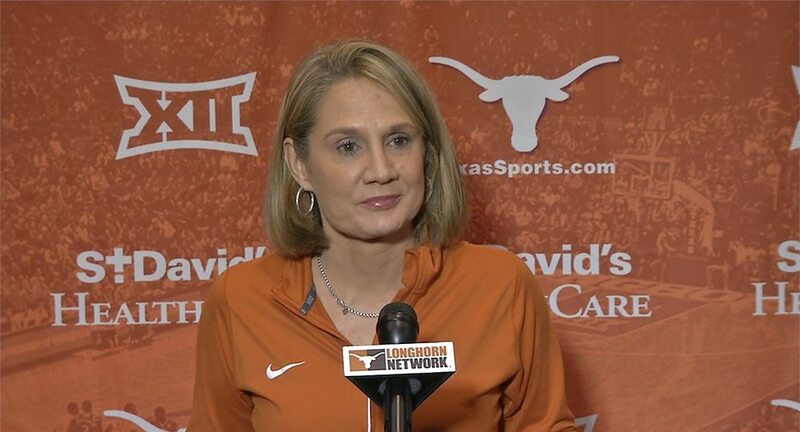 The University of Texas women's basketball team steamrolled visiting TCU, 83-54, to give head coach Karen Aston the 200th victory in her coaching career (photo courtesy of texassports.com). AUSTIN, Texas — Freshman forward Joyner Holmes scored a game-high 18 points as the No. 15/17 University of Texas women’s basketball team rolled over TCU, 83-54 at the Frank Erwin Center.